Welcome parents and teachers and join us in an art and mindfulness program that inspires creativity with setting good and empowering intentions. This is an arts and mindfulness community where parents and educators can learn to further understand and transform the causes of sadness, anger or overwhelm in their kids. They can connect with them on a deeper level by using the healing benefits of art and the written word to process negative emotions and promote self-healing. Do your kids need some fun summer art projects? The workbook journal is a safe and private place to practice using your words and art to learn to understand your feelings and empowering ways to respond to stress and anxiety. $19.95 Special November Pricing $15.95! 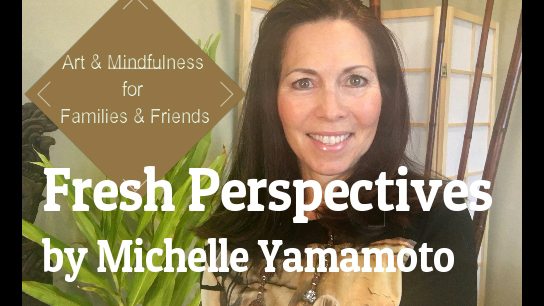 A vlog with art demonstrations and chats about mindfulness for youth. Check out our arts and mindfulness vlog! Our latest video is up! Children feel less upset about something that has happened in their day or life. They feel more empowered and are able to reach their goals more easily. They connect to the essence of who they really are to further instill the elements of trust and strength into their being. Whether you are hoping to enhance learning environments in schools or wanting to improve the quality of your family life, this program is designed to inspire you and those around you to use art and conversation to grow more mindful, kind and resilient. 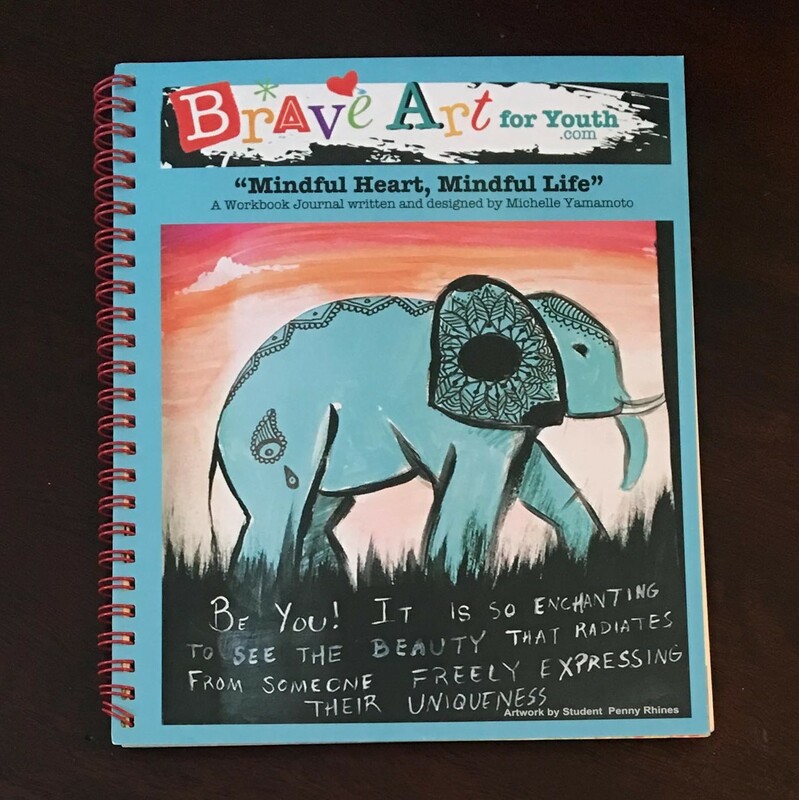 The Brave Art contemplations, art demonstrations, meditations and the work book journal make a magical experience not found anywhere else. Parents are leading such busy lives and are expected to not only work and be amazing parents and its so hard to keep life in balance. Perhaps you’ve been unable to talk your child out of worrying and you’ve tried positive reinforcement without any luck. You have maybe even tried bribing and on occasion you’ve felt frustrated enough to yell and we know this feels lousy. We believe that if parents can be shown the guiding principles of mindfulness and art and make it fun to share these teachings with their children, this will help start more meaningful conversations of mutual understanding and lay the foundations of good life habits.